With olives, capers, anchovies, tomato and pappardelle. Plus rocket, fennel & orange salad. Moved inside, out of the wind. The meat and pasta on this massive plate of feed actually go nicely together. 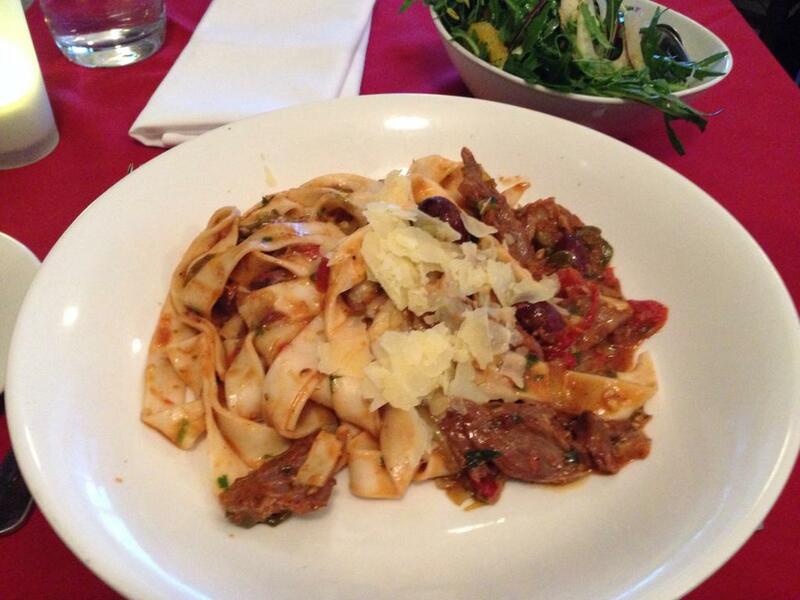 The lamb is soft and flavourful, and the puttanesca has a strong capery taste. The pasta is just regular ribbon pasta, but it's the right choice for this extra-chunky dish. The rocket salad is surprisingly good too. It's really mild, with just a bit of oil, and the orange and onion are fairly minimal, leaving the milder rocket and fennel as the main tastes. Even after the big plate of feed, I eat the whole bowl of salad. With Baileys & scorched almond ice cream. The toffee here is quite thick. 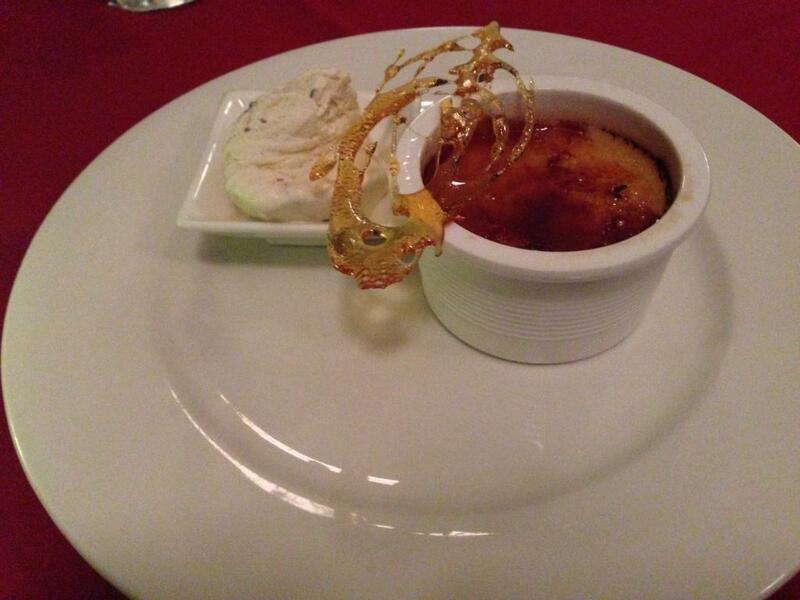 I'm not a fan of creme brulees with thick, crunchy crusts of toffee. The Baileys taste is strong here, but the custard has no other interesting taste or texture. I'm not sure what the ice cream is supposed to do here. It has nice almondy chunks, but doesn't taste like Baileys. Having two versions of the same taste (Baileys) in the same dessert is odd. I put the ice cream in the brulee pot, but it obviously doesn't go.